Abstracts contain an abbreviation of all pertinent parts of recorded deeds, mortgages, leases and other instruments affecting title to a particular piece of land. As such abstracts are not a guarantee of good title but may be used as a basis for a title insurance search or taken to an attorney for an “opinion of title”. We can create new abstracts if lost or update existing ones. Together with Loberg Law Office we offer package pricing for abstract updates and attorneys opinions. 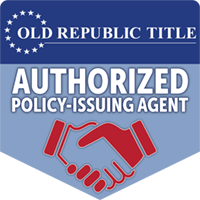 Protection against costly or troublesome title problems begins with an Owners and/or Lenders Policy of Title Insurance. Our experienced and knowledgeable team will work with you to determine what will best meet your needs in this fast-paced industry. As an agent for First American Title Insurance Company and Stewart Title Guaranty Company, we will issue a title insurance policy that provides you with the best coverage. A Property Report is a search of a property from the last deed of record forward. It shows any mortgages and liens filed against the property within the search period, as well as any judgments, tax liens, and child support liens against the current owner. Often this product is sufficient for a Home Equity Loan or 2nd mortgage request. This report is substantially less expensive but is not “insurance,” and, therefore, does not have the level of protection. Often our friends at competing title companies need assistance with research in the counties we cover. We, too, sometimes have this need. By ordering a search package through us, you would receive all the research and necessary recorded documentation on your property so that you can write title insurance. This allows companies to obtain their research more efficiently and provide the best possible turn around time for their customers. This product can be requested by clicking on the “Order” tab. We are a full service title company with top notch staff, including several experienced closers. We will travel to you! We strive to meet every customers’ need including being flexible with our closing schedules and traveling to meet customers. Need someone to attend a Sheriff’s sale on you or your client’s behalf? We can do that. We assign a staff member to attend the Sheriff sale. We take this responsibility very seriously. Go to the “Order” tab to submit your request for this service. Need Answers to Questions like these? When Would I Need Title Services? What Does the Closing Process Look Like? What is Title Insurance, and Do I Need it? We are pleased to announce we are in the vanguard of the profession. We have adopted and implemented the best practice policies as recommended by the American Land Title Association. Our policies incorporate many of the ALTA recommendations and address matters unique to our companies. We employ criminal background and credit checks to verify credit worthiness and reliability of employees -- those who will be handling your funds. We have in place an escrow surety bond and cyber liability insurance. We also maintain E & O coverage.